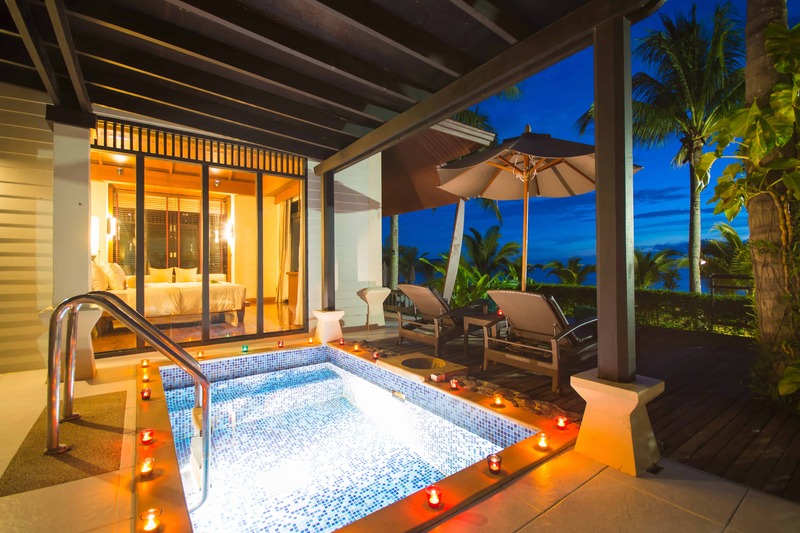 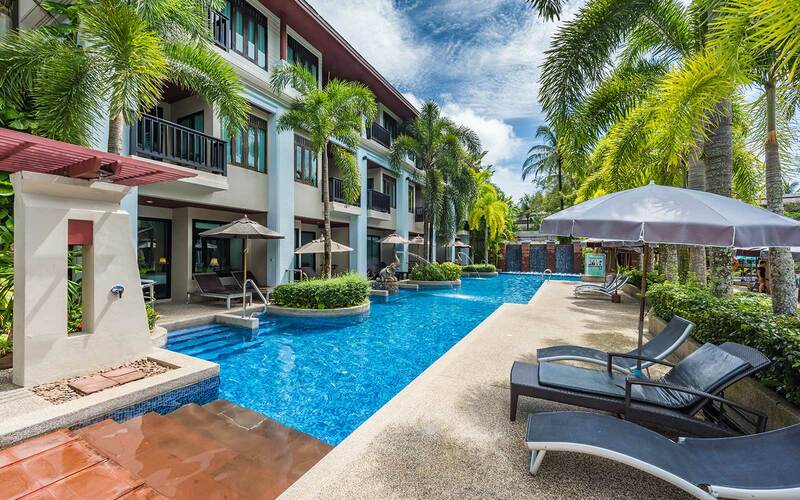 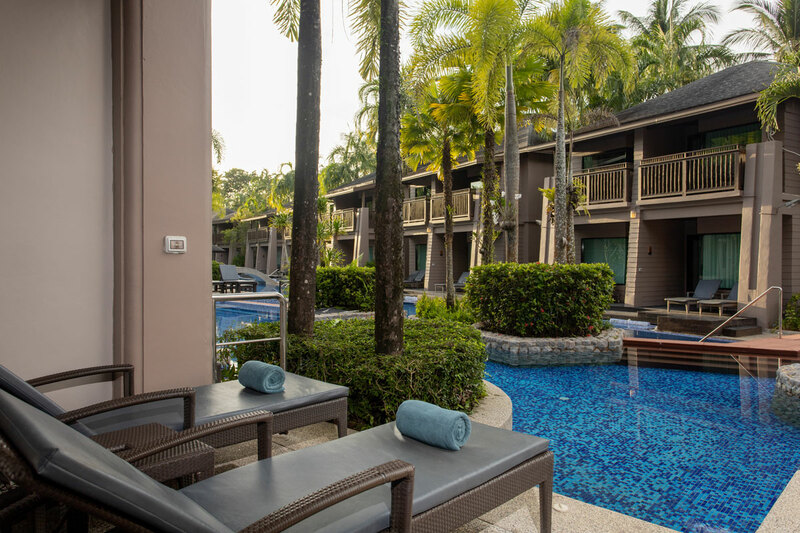 The special concept of the Pool Access Rooms is the direct connection of their patio with the new free-form pool. 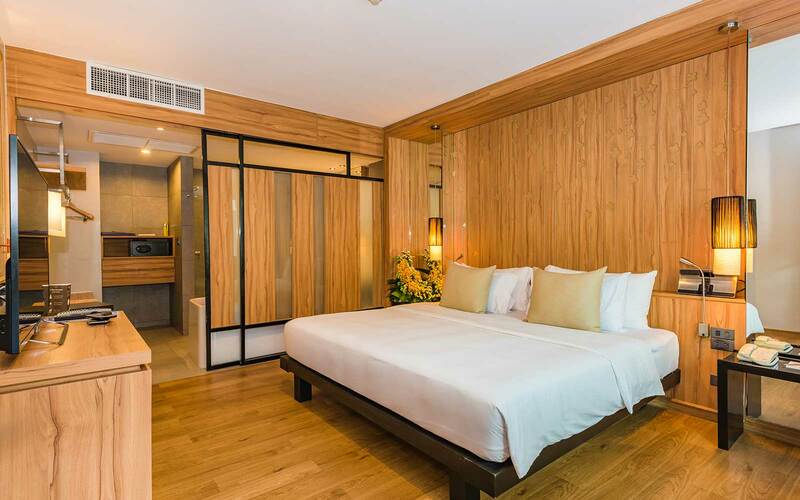 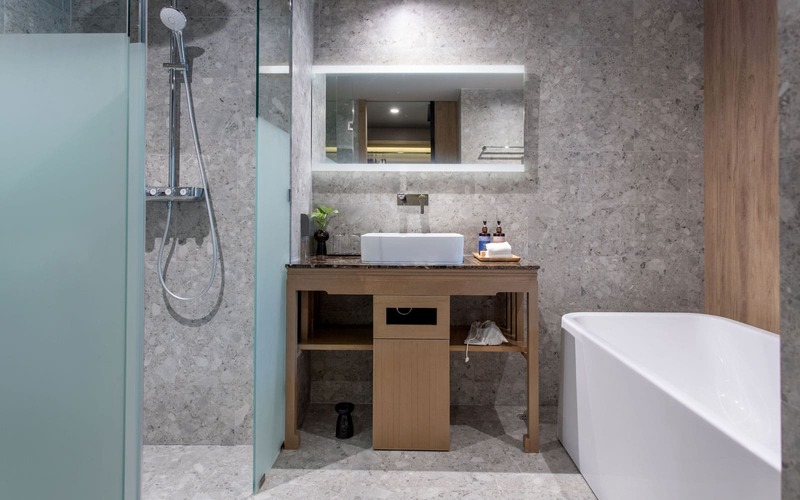 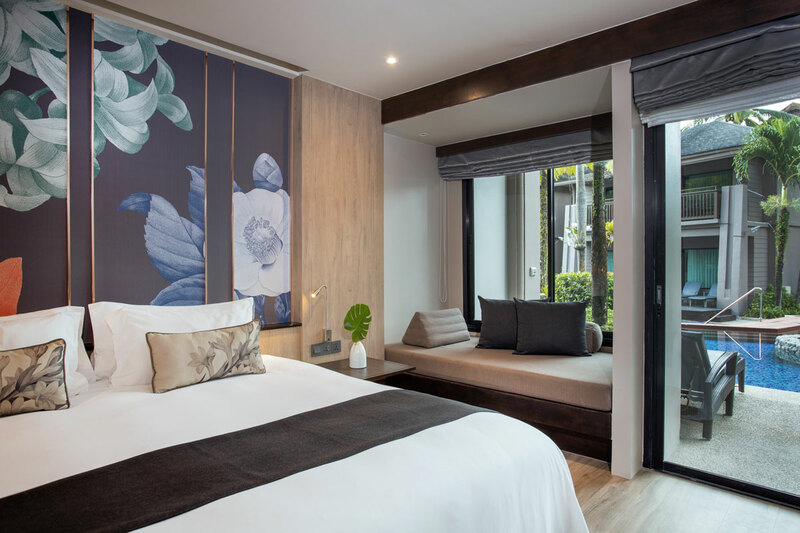 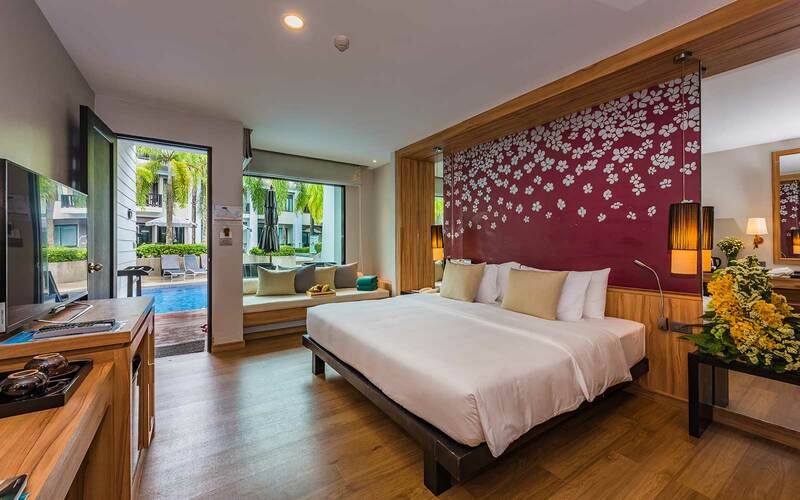 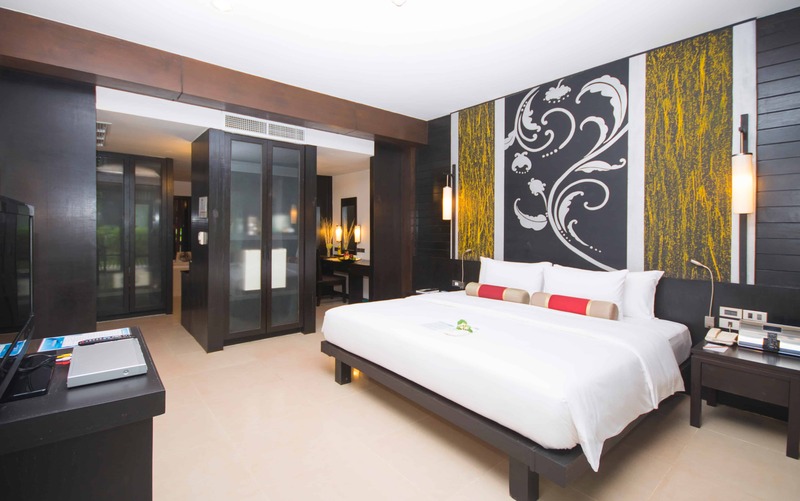 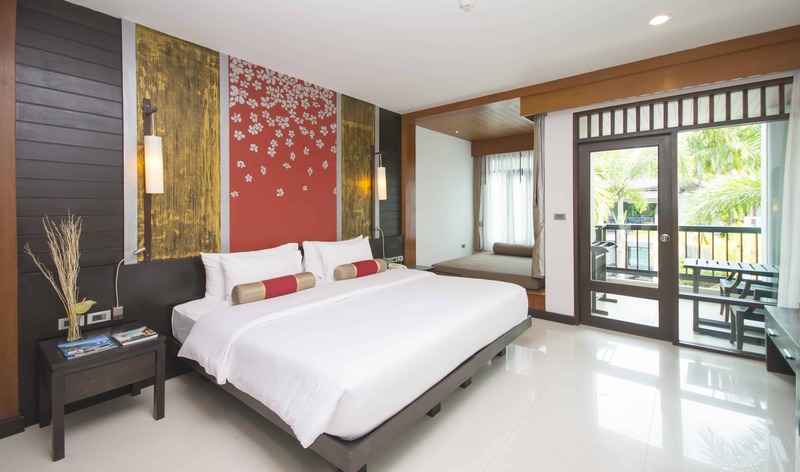 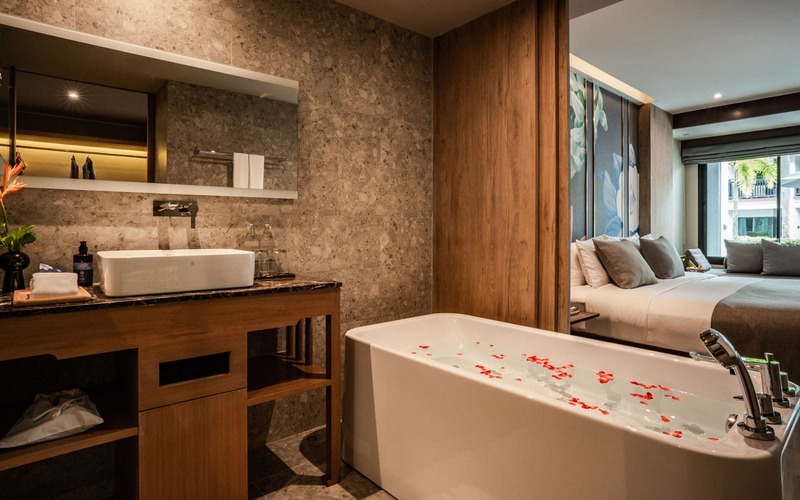 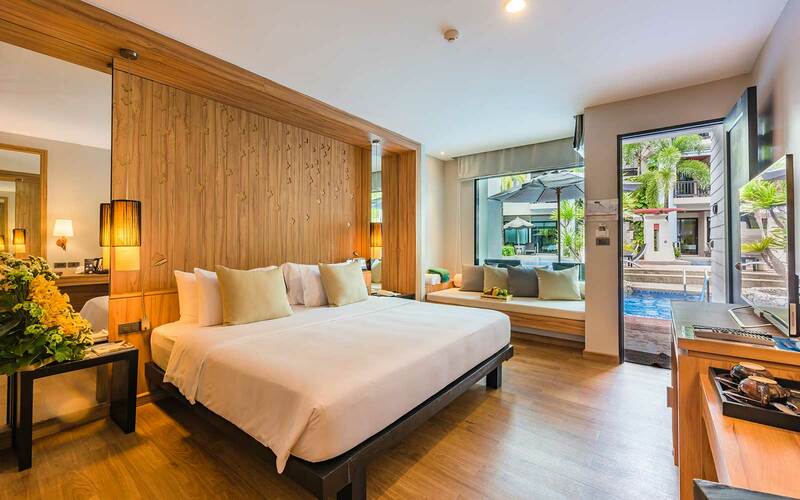 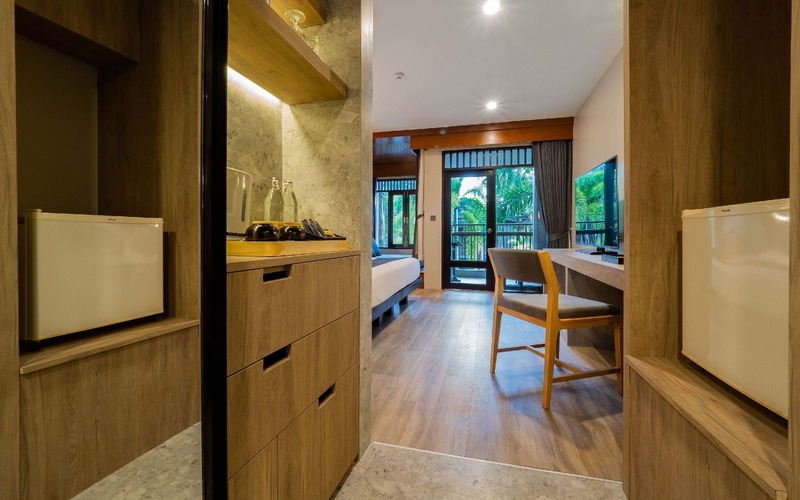 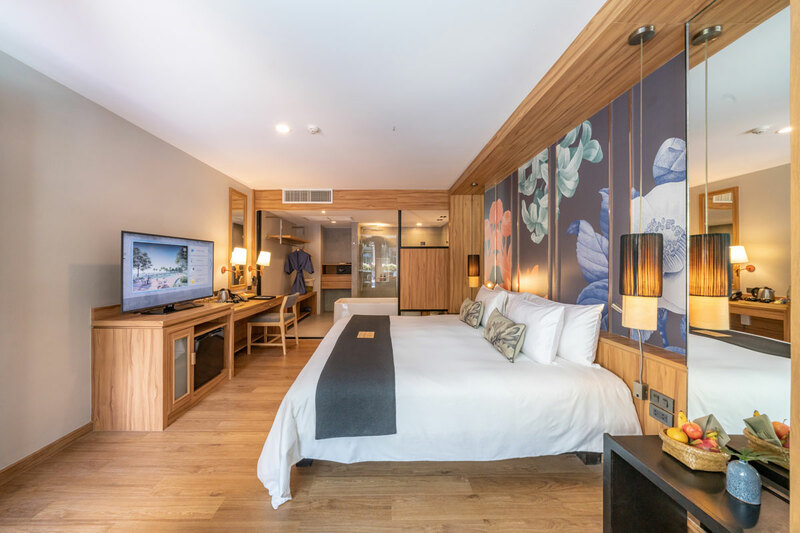 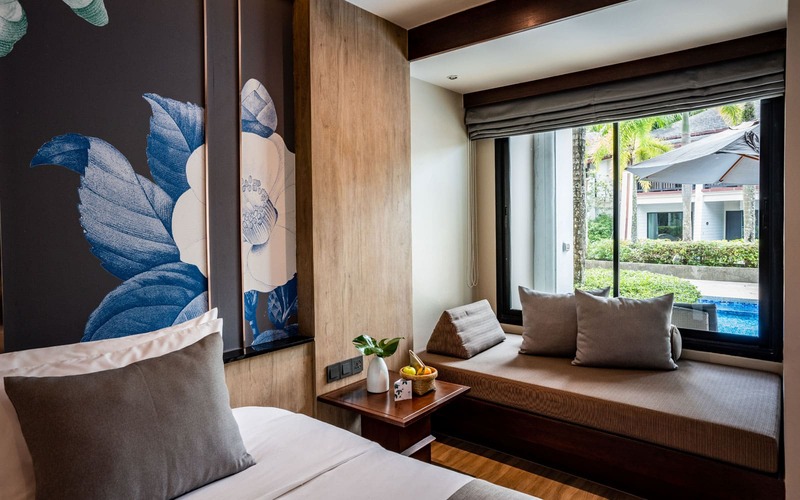 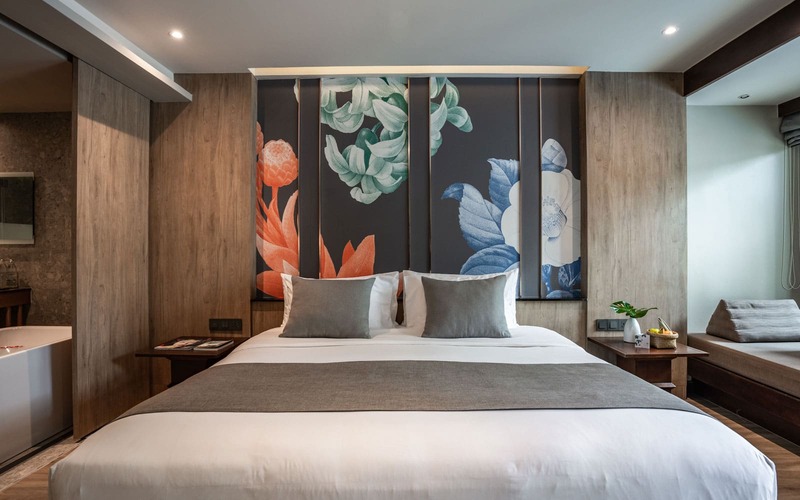 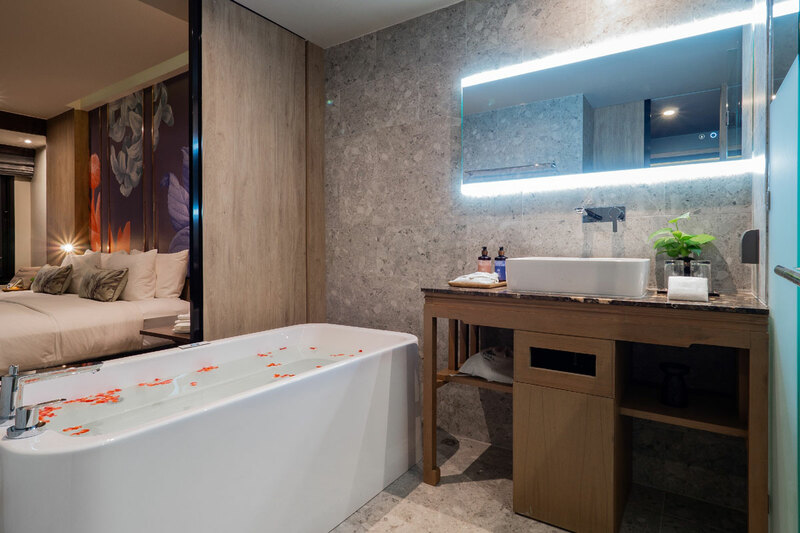 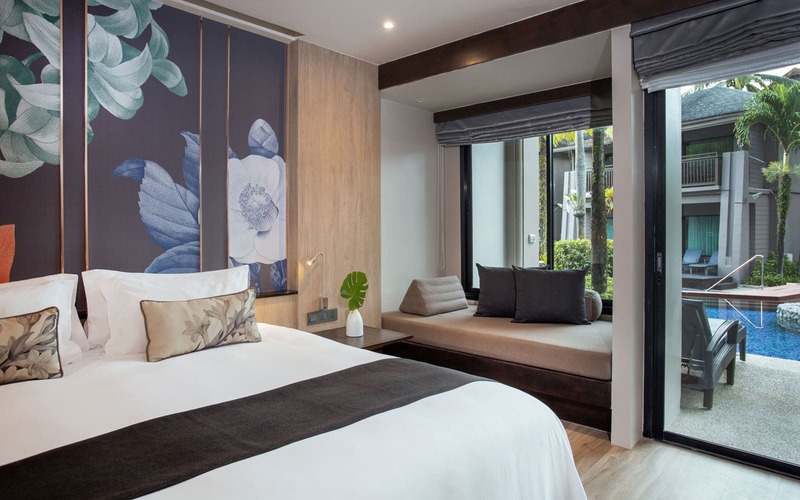 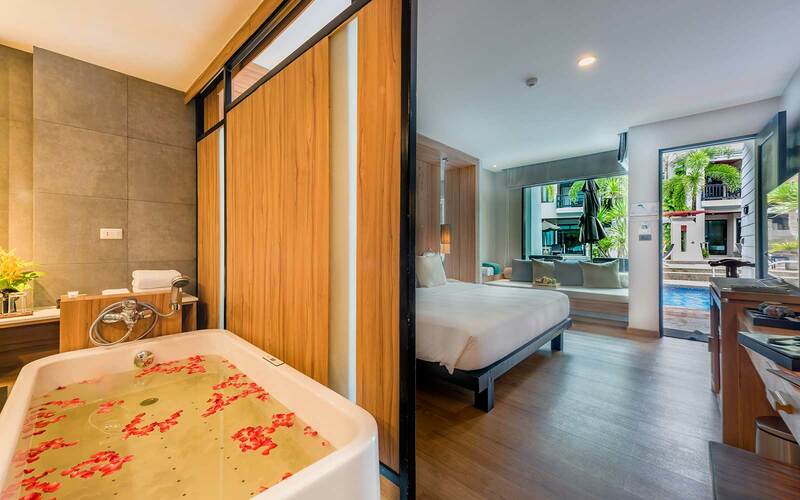 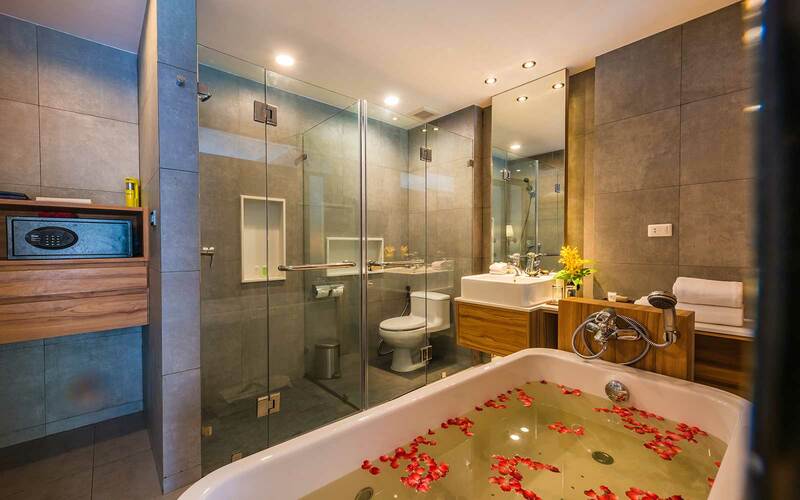 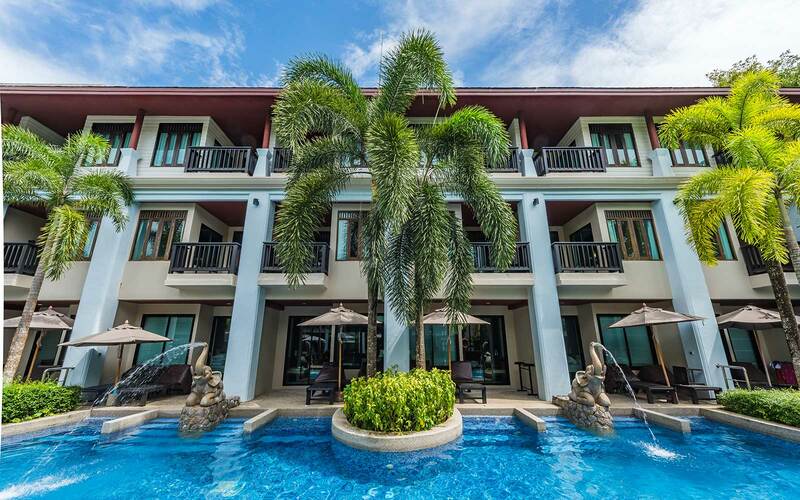 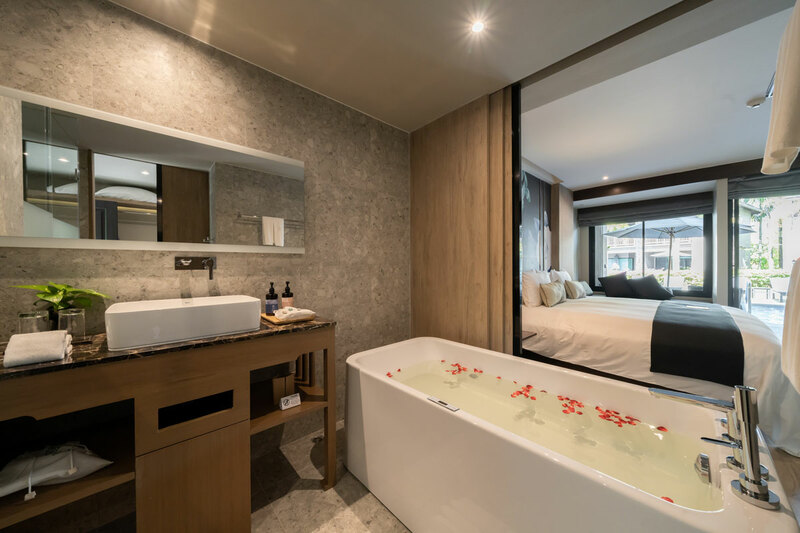 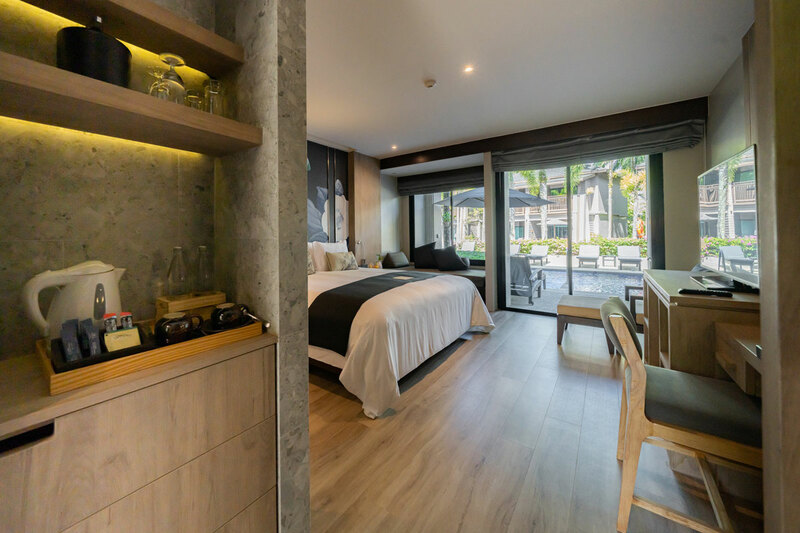 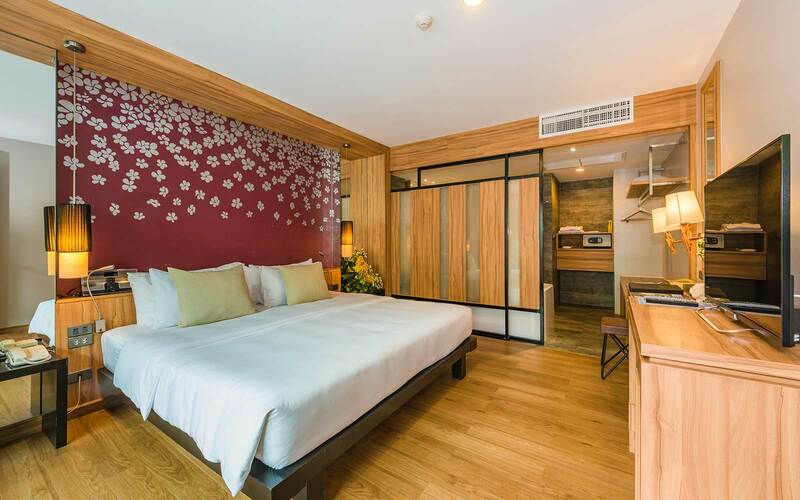 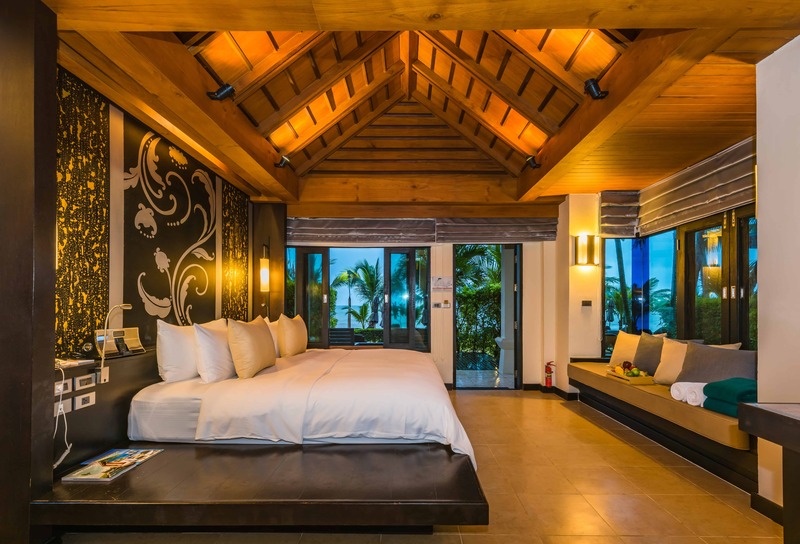 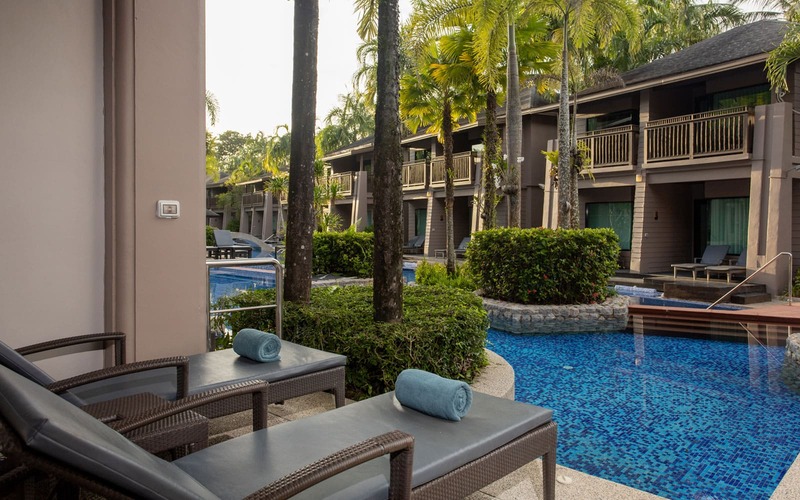 Besides the relaxation in the adjacent pool, the spacious 45 square meters rooms provide a cozy atmosphere of selected modern interior, featuring King-size beds, comfortable day beds and elegant bathrooms with separate shower cabin. 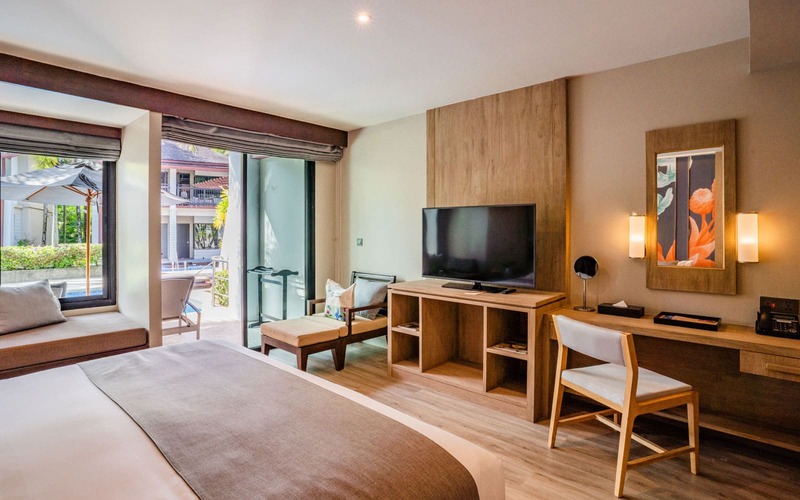 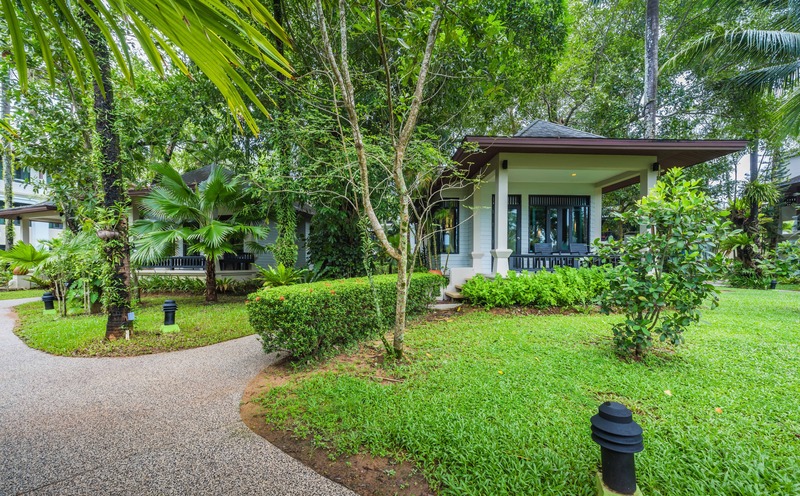 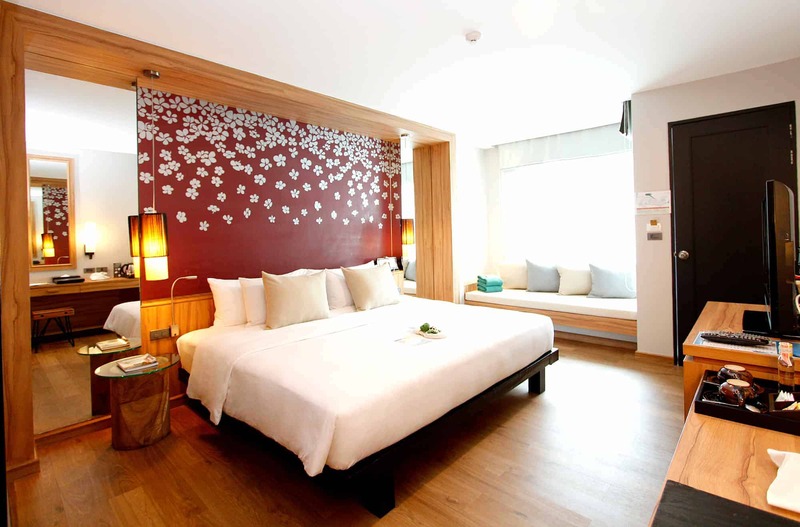 The Deluxe Rooms are located in separate low rise buildings, offering 42 square meters, scattered throughout the gardens.